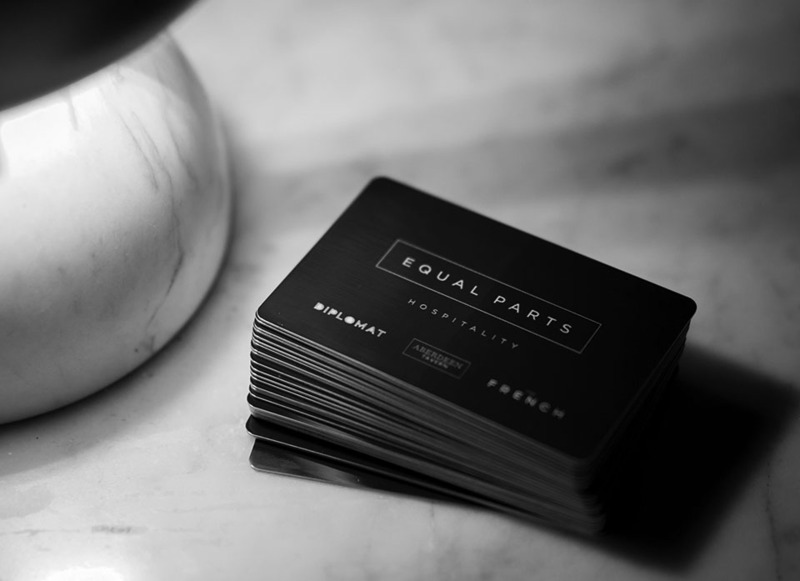 All of us here at Equal Parts Hospitality want to make your experience at our establishments as seamless as possible. We wanted to ensure that everyone who purchases a gift card from any of our locations gets the greatest value for each dollar they spend – this is why we worked tirelessly all year to change the way we do gift cards while updating our entire gift card system. Now, when purchasing a gift card from any one of our three restaurants (Aberdeen Tavern, The French, and The Diplomat), you no longer are restricted to the location of where you purchased your card. Our newly developed universal transaction system allows guests to purchase a gift card from any of our three restaurants (as well as online), to then use them at any location of their choosing. This exciting new development allows guests to have the freedom of choice when deciding where to dine. Brand new this year, you now have the opportunity to purchase gift cards for The French, Aberdeen Tavern, and The Diplomat online. Through a simple process, you are now able to choose a denomination of $25, $50, $75, or $100 from our online store, and have it mailed to any address of your choosing. We want to make this experience as seamless as possible, so all you need to do is follow the brief instructions, and we will provide the rest. Each gift card will arrive beautifully packaged, and will work across all three of our beautiful restaurants.